without reservation. Thank you Keith! " "Keith is excellent.... as a realtor and a person. He was always professional, caring and guided me through all the heartaches that selling a home these days brings. He never lost faith and was always looking at innovative ways to market the house. I give him an 11.0!" "Keith Owens and his staff created the best experience I have ever had with any realtor team. His marketing of the property was expert. After the contract was signed, he made every effort to keep us informed, and he helped negotiate with our best interest at-heart. Even though the sale was long-distance, he and his staff made the process simple. Keith and his staff created a process that was fast, efficient, and professional. I recommend Keith's services with no reservations." "Keith Owens has assisted us with numerous previous sales and we would certainly recommend him to our friends and use his services again when needed...thanks, Leona & Neal Pleasant, Kemah, Texas"
"We found Keith Owens knowledgeable, considerate, available for discussion and feedback, extremely competent, and very supportive during our very short close process. Without hesitation, we will recommend him to our friends and family, and should the opportunity arise, will contact him to sell another house." "Keith T Owens was very knowledgeable about the area and the market. He told us what to do to prepare the house for showings. He knew what updates to give the house and which ones would just be a waste of money. After all negotiations were done, he got us our asking price! I would and have recommended him to my friends and family." "Keith Owens handled every facet of our real estate transaction superbly – listing, marketing and sale could not have been more ably managed. His communication to us through the entire process was informative and thorough which was crucial to us since we now live 600 miles away. He checked the property periodically and reported to us. Keith Owens exudes professionalism as a Realtor and his integrity as well as knowledge is unsurpassed. We recommend him highly!" "Very smart and knowledgeable regarding construction and sales, and future resale. We will refer Keith to our friends, and will use him in another transaction anytime." "Keith was calm, thoughtful and knowledgeable and made our home selling experience excellent. I would highly recommend him to anyone buying or selling a home and will use him in our future endeavors." "This is our 2nd transaction with Keith. We highly recommend him. He is very knowledgeable and takes care of his clients." "This is the second time I have used Keith as my Realtor. I have always been very satisfied"
"Excellent!! One of the best I've ever dealt with. Would recommend Keith to family members and friends for real estate services. Experienced, knowledgeable, professional, and very courteous." "Keith and his Team are the best!!!!" "My wife and I are glad we had Keith working with us. Being from out of state, he guided us to an excellent location and a beautiful home. We highly recommend Keith to anyone looking to purchase or sell a house." "I really appreciate being informed of potential buyer’s thoughts about the property after walking through it. Provides valuable insight." "Keith and the Owens Team were OUTSTANDING. During a long and drawn out marketing and sales process Keith kept us informed, motivated and provided excellent guidance"
"Excellent professional job from start to finish." "I believe Keith Owens really earned his commission! He worked over the call of duty to secure the sale of my property. His opportune sale enabled my Wife and I to pursue a new life in Florida." "Keith was fantastic through the whole process. We will definitely use Keith again. Thanks for selling our home." 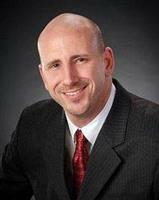 "Keith is an exceptional realtor and is handling all of our properties. In this tough market he is bringing clients to the table and making deals happen. We highly recommend him." "Couldn't have asked for a better experience. Keith was professional, knowledgeable and a genuinely likeable guy! Will definitely be using him in our next real estate transaction." "We had the best agent in the world in Keith Owens and have truly appreciated and enjoyed working with him. He made all our experiences great during this time. He is excellent!"